This is a recipe that I came up with as part of my job as bartender at a local Irish restaurant. Outside of the regular beer/whiskey drinks, I try to find and create cocktails that are different and you can’t get anywhere else. 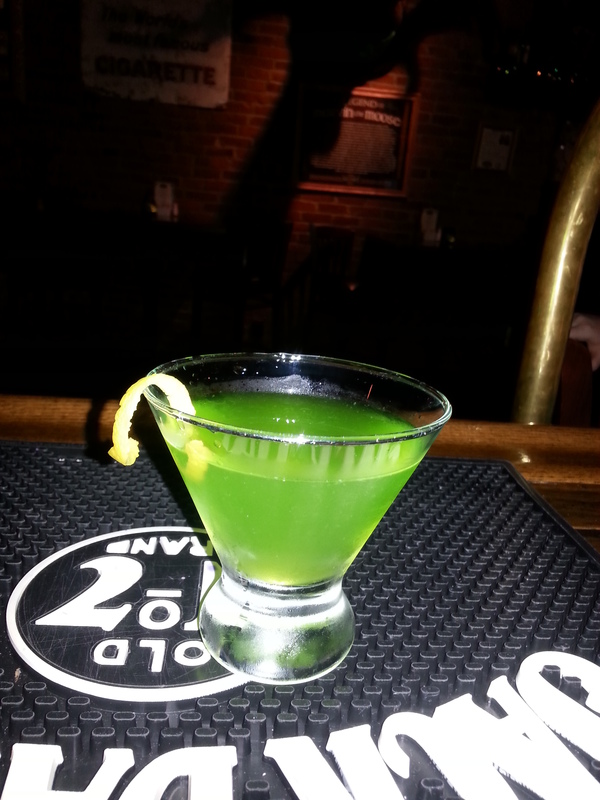 Its good for St. Patricks day and any other time a green cocktail is requested.